*An English Travel Writer*: British Folk Art? 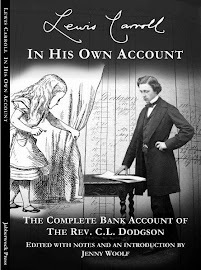 I'm feeling in the mood to write a wacky post today. I have a bug that won't go away and I feel weak, and a bit light headed. Our bike trip already seems long ago, did I really have the energy to do it? There are some art shows I want to see in London and now I find they're due to close soon. One of them is the British Folk Art show at the Tate Britain gallery. If I don't get there I suppose I can look at the British Folk Art I photographed on our trip, and I thought you might like to see some home made creations too. I'll start in Whitby, Yorkshire, which is a coastal town famous for Dracula and various other interesting things. It has a big Goth population. 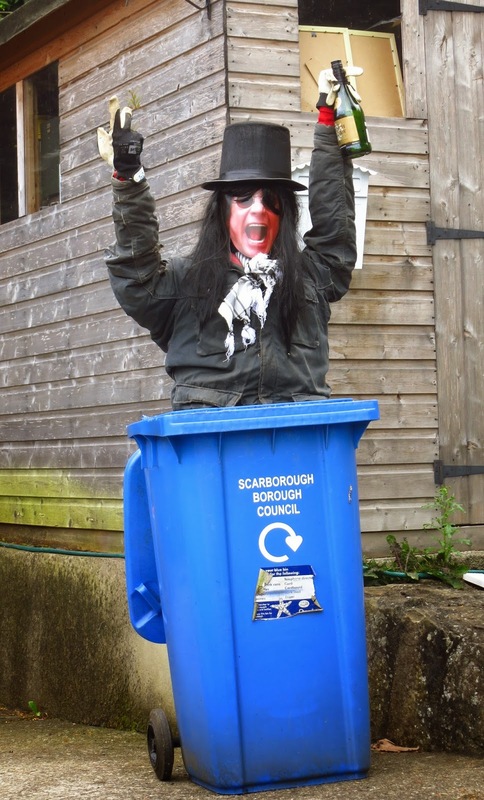 The Goths are not exactly serious - I bought some great chili pickle from a nice man called Chris, aka Howling Goth, in the market, (and click here to see the testimonials... ) Anyway this Count Dracula was partying in a suburban dustbin outside Whitby. Sometimes though, you had to ask, well, what is going on? 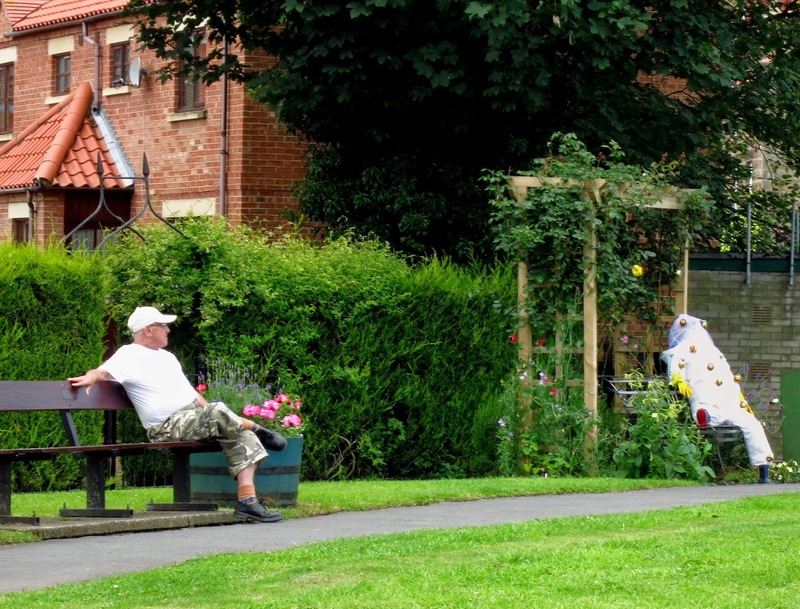 I just couldn't figure out what was sitting on that right hand bench in the park at Sleights, and nor could the fellow on the left hand bench, by the look of it. Even when you enlarge the figure, it's impossible to guess what it is, but I do like its casually self assured air, relaxing on the bench with one gumboot sticking out. 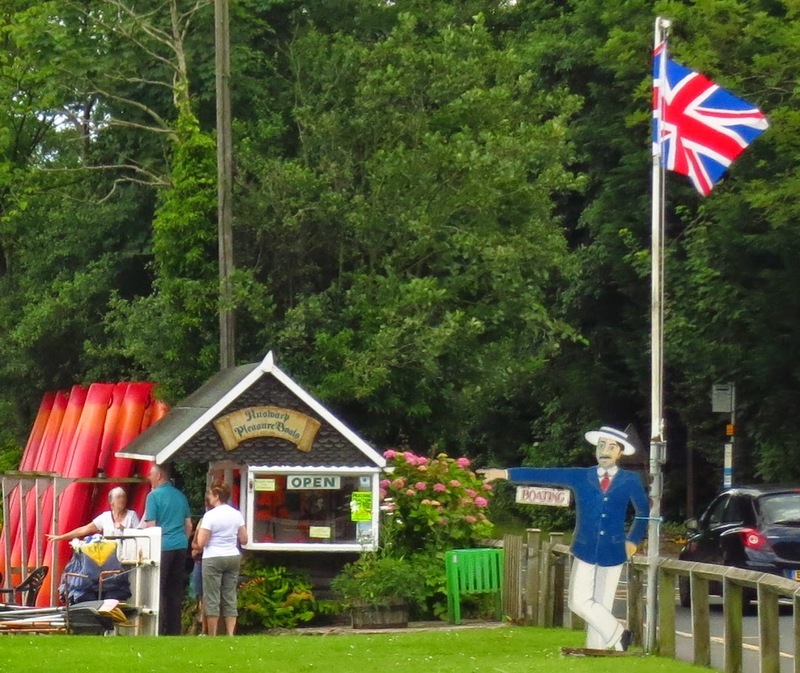 Both the cut out vintage man in this picture and the customer in the background were pointing at the same boat on this village's charming boating pond. ... and now I can put in my favourite of the many parodies of that famous song. It's by a shock trauma platoon of the US Navy and Marines in Afghanistan. Isn't it great? Quite a jump to the Duchess of Cambridge made from jelly beans - this very large and accomplished image was in a sweetshop window in the city of Cambridge. A little further on, in Newark, Notts, we went to one of the best b&bs I've stayed in for ages, called Compton House. and I spotted this fox sitting in the hall. 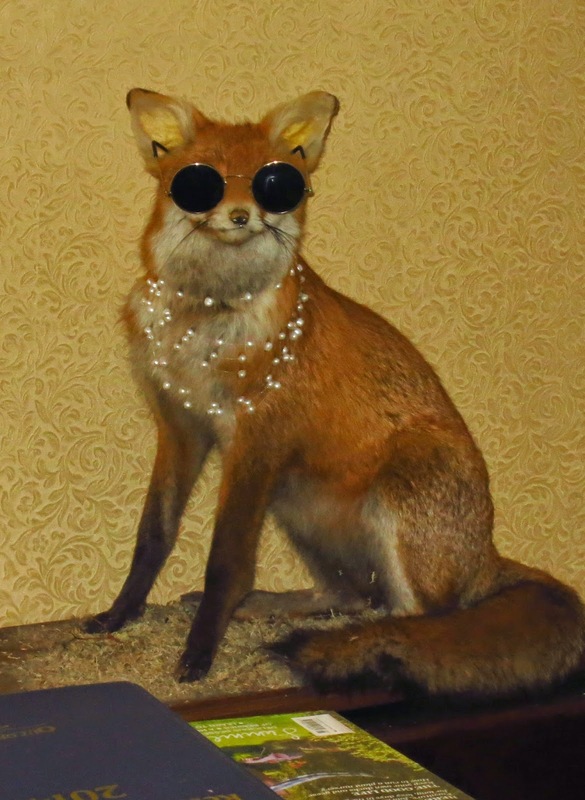 The owner explained she'd spotted the fox at a sale in a taxidermy shop where the vendor told her it was the worst stuffed fox they'd ever had for sale. She felt so sorry for it that she bought her and now dresses it up glamorously in the summer months, and warmly, complete with scarf, in the winter. Now, I'd say it's the classiest fox in Nottinghamshire. The most unsettling piece of home made or folk art I saw was this stern, slightly angelic figure. At first I thought it was another scarecrow, and perhaps it is, but it seems to be showing the way to a wedding. It's creepy, with its blue face. I'd like to know the story behind it. Yes, there are a lot of examples of artistic self expression going on around England. And so I wish I had dared ask this group why they all had green hair. But I just kept my mouth shut and let them go past! Re: the green hair -- maybe they're all Seahawks or Sounders fans? Both of Seattle's teams have this shade of green as one of their colours. That’s a sheep resting between shows! Hello there, I enjoyed your English folk art tour! That amorphous blob of a creature sitting on the park bench looks like a white frog with his head on backwards to me - LOL. And the gentleman on the other bench has very interesting footwear that does not at all match the casualness of the rest of his attire. And I'm fairly certain that the blue faced statue is an attempted copy of the Christ on the mountain in Rio de Janiero. This was a very entertaining post; I'm so glad you gave in to the impulse. But most importantly, I hope you get better very soon and back to your normal healthy self. I could not have let the green hair go by unremarked. Jenny what a fabulous and fun posts filled with eye-popping images! 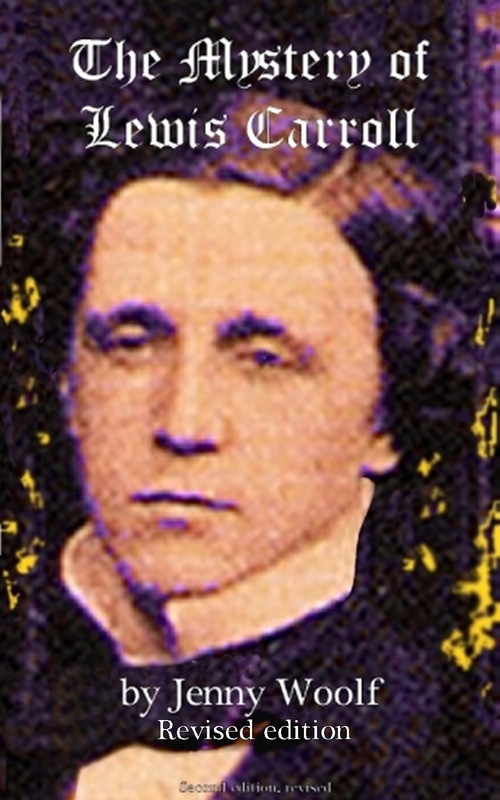 I am sad to hear you're not well though - that is no fun at all. Those lassies should sue that hairdresser I say! Neat stuff! It appeals to my slightly warped sense of humor, and i loved the video! The figure reclining on the bench looks a bit like Mr Blobby but then I haven't got my glasses on! Sorry you haven't been feeling well, Jenny. Self expression on the green hair! But fun to be a part of it I bet! Our students do that often when supporting their school teams with school colors! I think those scarecrows or whatever the term for them is- are sensational to see. I wish we'd do more of that around here, and not just at Halloween time! I have a few scarecrow people around our place- and yes there have been folks driving by that have commented later on my stuff! Not weird, just how we roll! Oh forgot, great photo of the troops, I pray they all make it back home safe and sound after their mission is complete! Your trip appears to have been a fun and interesting adventure. I love all the images you have shown and the humour behind it all. Wonderful! That jelly bean one is brilliant! 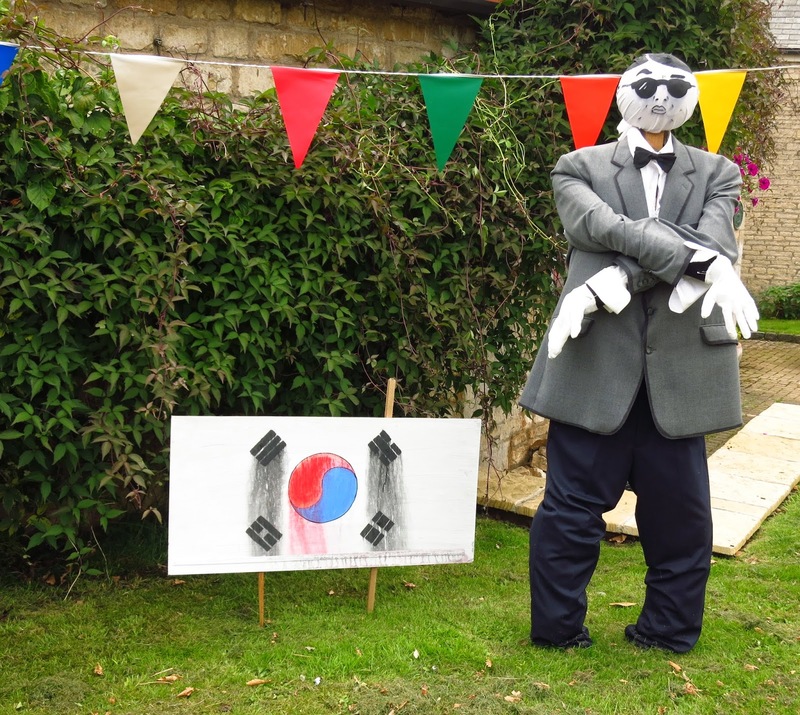 Our annual Scarecrow Festival isn't far away - it's held in October...and all the scarecrows come out in force. A friend and I created scarecrows a couple of years in a row, but gave up doing so two years ago. Our first effort...a giant of a fellow...was stolen from the roadside on the first or second night he was out giving pleasure to the passing traffic. It never ceases to anger and annoy me that people stoop so low to do things like that. It must have been an effort for those who stole him...because he was a big scarecrow! Your pictures made me smile! You should make it a regular feature - "Wacky Wednesday!" There's a lot of British whackiness on exhibit here. Love it! Life is too short to be serious. That eerie angel with the blue face is really very strange. I think I'd be scared walking past her at night! Absolutely LOVE the gangnam style video - these guys are great!! I think the green hair group would have been pleased to answer your questions, Jenny. They don't exactly look like a hen party, otherwise that would have been my first guess. I love they guy coming out of the trash can! I love the quirkiness of our Folk Art - the Urchfont scarecrows were particularly wonderful this year. Do hope you feel better soon - a bug is such a rotten aftermath to your amazing bike ride. Wow, what a wonderful (and weird) collection! Those jelly beans...that's a labour of love if ever I saw one. And that creepy angel reminds me a bit of the stone angels in Doctor Who; which makes it even creepier! Excellent! Loved the jelly beans and the fox, in particular. Long live eccentricity! 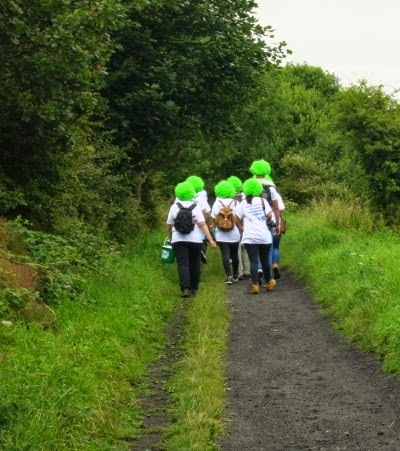 What a weird sight to see on your travels ~ green haired hikers ~ they are all walking so close together too ~ very weird. I wonder if there is any significance to the green buckets ~ green hair, green buckets. What a fun post, and you have captured lots of entertaining folk art from around the country, Jenny. 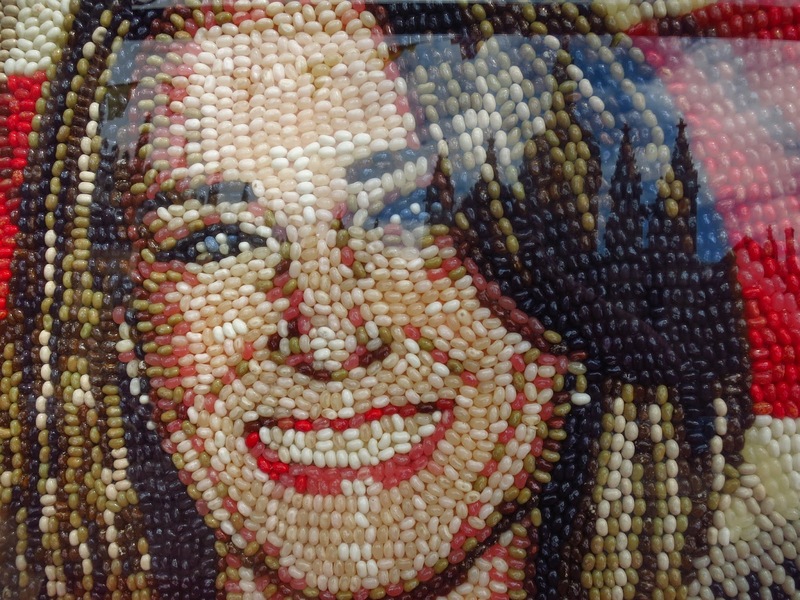 The picture of Kate in jellybeans is amazing - how do people do this? Love the glamour fox from your B&B - I bet that was a fun place to stay. Get well soon - the flu is such a misery to catch. The Duchess always looks good - even in jelly beans. Curious about the reclining figure, there's a touch of Mr Blobby about it but I don't think it's him...smiles. Enjoyed this amusing post, Jenny. Hope you will feel better soon. Yes, I thought it was the ghost of Mr. Blobby. That's a classy fox, but he looks pretty good stuffed compared with some I've seen! Helen, I did find myself looking at it out of the corner of my eye for a while before I managed to bring myself to take a proper look. was something done in honour of the World Cup in Brazil....there was so much interest.... yes, that makes sense. Sort of. Chickadee, this is actually one of the reasons I posted it. Their lives must be so difficult and it was wonderful to see what fun they had, and were giving to others too. So far Mr. Blobby seems to be the top guess. But you know I am sure those blobs are something like brass doorknobs. They look three dimensional to me. Wish I had taken a closer look. I was talking to someone when I noticed it and then I had a train to catch. Yes, Carol, they were obviously part of a group. Which I suppose is just as well otherwise I'd have started thinking I was seeing things! Thank you for the good wishes about getting well soon, I hope I do! So sorry you are not well, Jenny! But I loved this post too. What treasures you saw on your travels by bike. I love them! I've never seen scarecrows of such variety and these are fabulous. The fisherman sitting on the hedge is marvellous as is the goth in the bin. I was a bit shocked when I saw the fox, but I think the lady who rescued her has at least given her some dignity in her stuffed statel A marvellous post. Thank you for this and the Tour de France one too! I've really enjoyed them! I enjoyed this rather quirky trip and I'd have to go for the jelly beans picture as favourite. Scarecrow festivals seem to be all the rage in this part of the world, many of which claim to go back centuries. The funny thing is that I can't remember any of them from my youth. A great wacky post Jenny, despite the fact you were feeling unwell. Do hope you are feeling better by now. Thanks for this! I went to the British museum yesterday and saw some wacky art too (which was slightly unexpected): a huge drawing made of pills (as in, medication). I thought I should let you know! 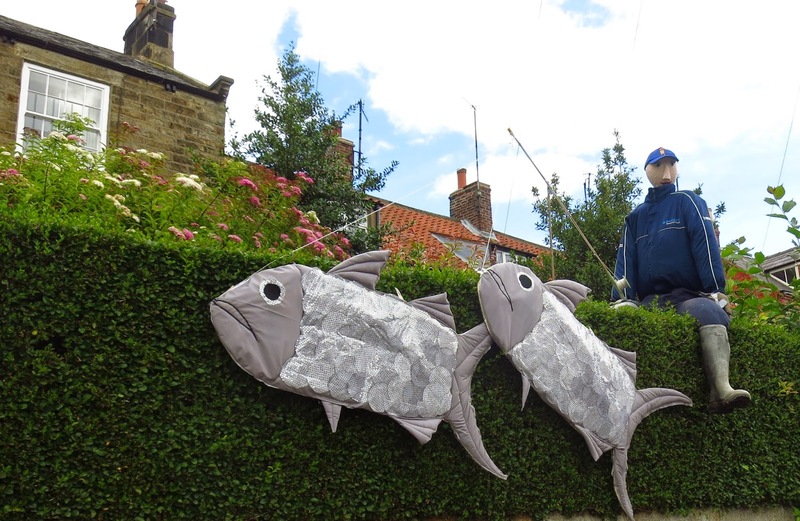 I loved the scarecrows and those fish especially. But yes, that green hair is puzzling and the blue face a little creepy. 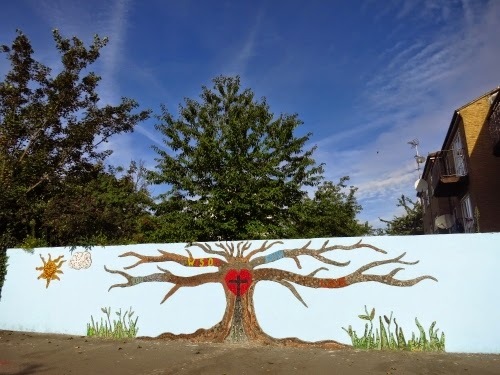 I love seeing folk art and when it's outdoors, evolving, all the more fun! I can just imagine the artists putting it together! I had never seen this video – how clever and fun! They are good too. I like all this great variety of photos. Sending get well soon wishes! I love these fishes: they are thick and fat, I think the people is talented, Jenny! What a great collection! :) Hope you're feeling better. I hope your weak and ill time has passed. I know how horrible and long lasting that can be. Drink a gallon of Lucozade daily! Awesome! My favourites are the fishing scarecrow and the classy fox. I love being delighted unexpectedly. Wacky is my cup of tea. wow, this is the best post! So entertaining! Love the wacky art and the scale of it! FUN! a scarecrow festival...i have not lived...how cool is that? I think that I must be the only person in the world who doesn't 'get' gangnam style. What an interesting post! 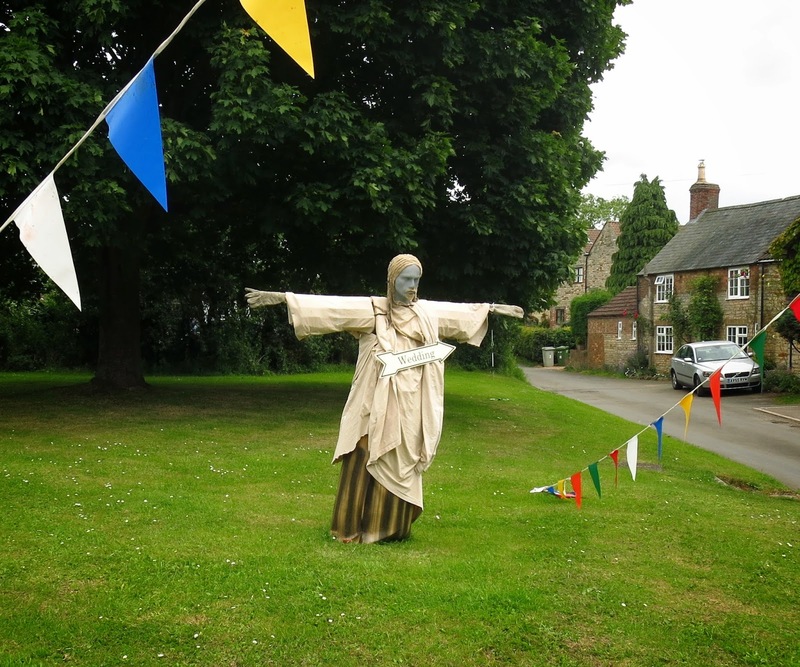 So you have a scarecrow festival. As I wrote about scarecrow festival here in my blog before, they used to and maybe still now are expected to observe and protect rice paddy fields. However, I think the scarcrows for the festival are more to it than that. Your caption about that unidentified figure raised a smile. The image of Duchess is great! I hope you'll feel much better now. 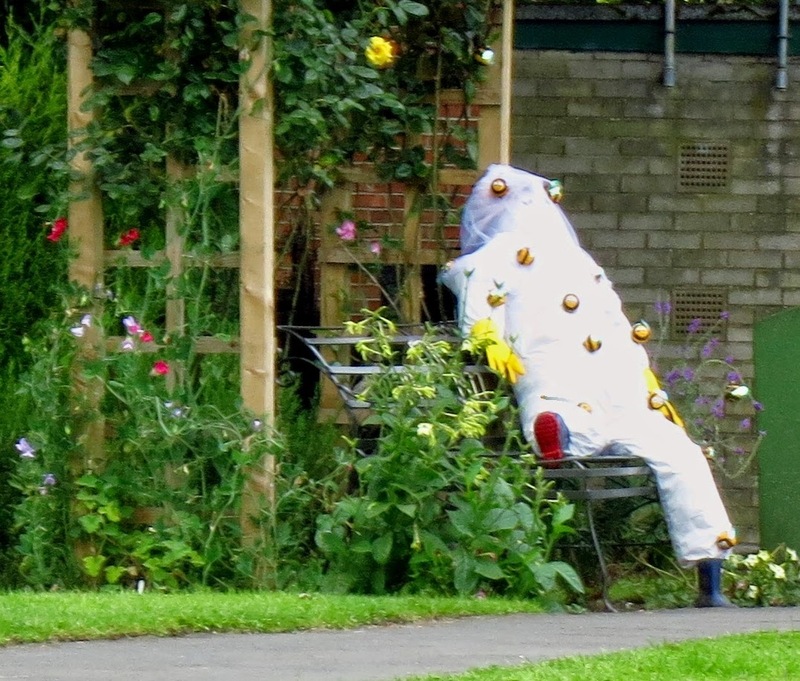 The figure on the bench looks a bit like someone in a heavy-duty anti-radiation suit. Unfortunately it's so bulky and restricting they're unable to get off the bench. And probably so airtight they're fighting off imminent suffocation. Someone call the emergency services! Thank you for the good messages for my health, everyone. I'm more or less back to normal I hope. GB, interestingly I read that S Korea's pop industry is successful because its products are almost easy for Westerners to "get" but not quite easy enough. So I suspect you're not alone. I'm a bit intrigued by it. Adullamite, you're the second person who has suggested I drink Lucozade but I never liked it, even as a kid. I think my granny put me off it by saying it would give me far too much energy. That sounded a bit scary to me, since I was already supposed to have too much energy, so they said. I imagined myself exploding! I am really delighted by all the comments, and love getting them. Some are just as wackyk as the posts! Oh, I really liked the Duchess in jellybeans, that is just so perfect! And that fox! I love it, something about it just makes me smile! That creature relaxing on the bench somewhat reminds me of the strange beings drawn by the animator/film maker, Miyazaki. Or even something straight out of Hieronymous Bosch. There were days in the past few months when I was too tired to read or watch a complete movie. So I would binge on short, Dr. Who episodes. That creepy angel you have near the end is so reminiscent of the malevolent Weeping Angels! I so enjoy these wacky posts. Ha ha this post cracked me up. The video and that poor stuffed fox. These scarecrows won’t scare birds but humans when we see them especially at night, but the most scary in this post is the one in the tenth image. At Asuka Village, Nara pref., scarecrow contest is held every autumn. Many interesting scarecrows compete for a vote.